The first Painted Lady butterfly of the year appear in late March possibly as a result of the very heavy rains. 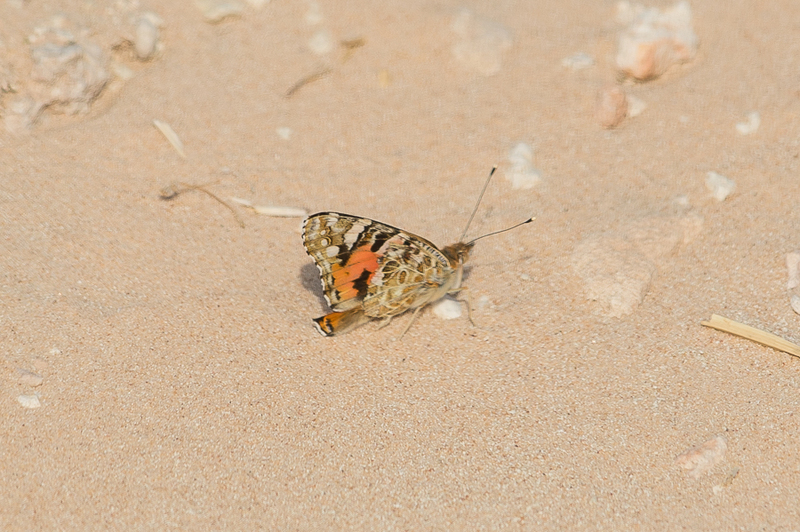 Although the Painted Lady can survive in Saudi Arabia in most years the majority of butterflies are probably migrants. The Painted Lady is the most widely distributed butterfly in the world occurring on all continents except Antarctica. It is a large butterfly with a buffy-orange background colour to the upper-wings. The forewings have black tips marked with white spots and the hind-wings have rows of brown or black circular spots. The underside of the wing is pale buff brown than the upper-wing. Newly emerged butterflies are brighter coloured, with the colouring becoming muted with age.